This is what happens if you ignore a weed growing on your lawn for a while. It grew to over four metres and had thorns all along the stem. 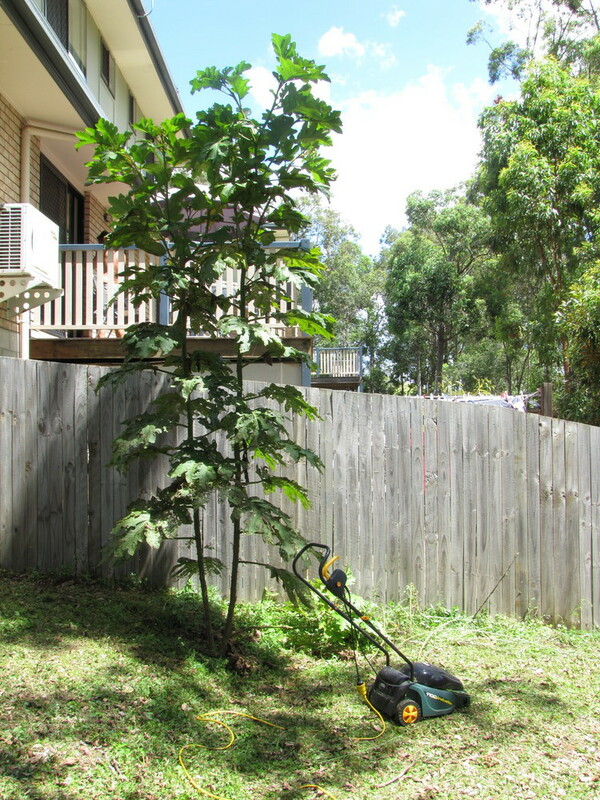 In an effort to convince me that I should remove it, my wife found out that it is a Giant Devil’s Fig, which is classified as a “Noxious weed” in Brisbane. After much nagging, I chopped it down before the native bats could eat its fruit and spread it further. LOL, I had a heap of those in the backyard aswell, had to cut them out and burn the suckers.